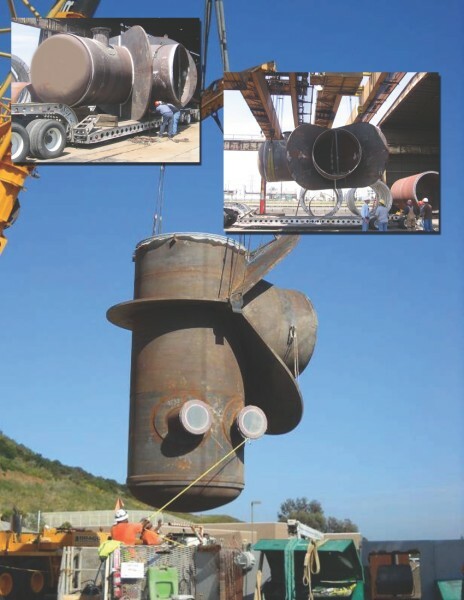 STI/SPFA members build steel water pipe that meets or exceeds the requirements of ASCE, AWWA, SWPMTAC and all industry Standards for water transmission. Earn the Envision Sustainability Professional credential. The online training includes 7 1-hr modules you can view at your leisure to prepare for the open book, multiple choice style online exam. You can earn the credential in one day or spread the training over time to fit into your schedule. Start a project assessment in the Envision scoresheet. The project scoresheet redesign allows for selecting credit levels of achievement for multiple credits quickly to see the impact to the score. Continue a project assessment in the scoresheet. Project information in the scoresheet was transferred to the new format. We performed extensive review to ensure the quality of the data transfer. If you find any errors, please contact us immediately at info@sustainableinfrastructure.org. We are keeping an archive of the original data and will be able to correct any errors. Submit a project for the verification and award program. The project scoresheet redesign includes improved features for tracking and reporting that streamline the verification process. The Steel Plate Fabricators Association (SPFA) is a division of a joint organization with the Steel Tank Institute (STI/SPFA). It is a national organization serving the water market since 1916 as developers of standards and certification programs for quality, safety, and reliability in the manufacture and testing of steel piping, tanks, and pressure vessels. STI/SPFA members build steel water pipe that meets or exceeds the requirements of ASCE, AWWA, SWPMTAC, and all industry standards for water transmission. The welded steel pipe built by Members is available in diameters up to 180 inches under either internal or external pressure. STI/SPFA members are involved in standards development activities and have written several design manuals, developed design software, and are actively involved in research projects testing joint efficiencies and recommending coating procedures on internal welds after backfill is in place. The Pipe Quality Audit Certification Program is a major accomplishment achieved by many STI/SPFA pipe fabricators. Apply to become a Certified Pipe Quality Program Member by accessing the link at the right. The STI/SPFA Pipe Quality Certification is a requirement in most piping specifications in the United States water transmission industry. Unlike other international certification programs, the STI/SPFA program addresses quality assurance and control, lining and coating operations, and equipment and welding procedures specific to steel water piping. The certification process also evaluates a company's management, organization, engineering and procurement practices. The audit program is administered through a third-party quality assurance organization and requires rigorous inspection and re-certification every three years. By requiring STI/SPFA certification, owners and engineers can have confidence that their pipe and fittings will conform to both the defined requirements of the specifications and the intent of a quality product. Education for the steel water pipe industry! Email info@steeltank.com to gain access to a powerpoint presentation to educate yourself and your customers on steel pipe. Steel Water Pipe: Installing Flanges - The knowledge you need to install leak-free bolted flanges, plus hot tapping steel pipe. Recorded webinar with David E. Lay and Nels Thompsen, November 2015. Steel Water Pipe Overview - Important considerations about steel pipe for an infrastructure project. By Dennis Dechant, Dechant Infrastructure Services. Steel Water Pipe Linings and Coatings - A review of design considerations, standards and specifications for steel water pipe coatings. By Dennis Dechant, Dechant Infrastructure Services. See Steel Water Pipe Product Award winners and entries here. STI/SPFA’s Steel Water Pipe Century Club award is presented to a utility management company or agency whose steel water pipe or pipeline has been in continuous service in the water delivery infrastructure for more than 100 years. This honor demonstrates the strength and durability of steel for use in the water infrastructure. With rising concern about the aging of infrastructure components across the nation, STI/SPFA’s Century Club award recognizes utilities that have properly maintained their steel pipe components, resulting in 100 years or more of uninterrupted delivery of clean drinking water critical for sustaining community growth, commercial growth, industrial growth and, most importantly, for sustaining life. View this PowerPoint presentation for more information and photographs of steel pipe installation projects. NEW! AWWA's Flange Torque Calculator: Available to all, membership not required.